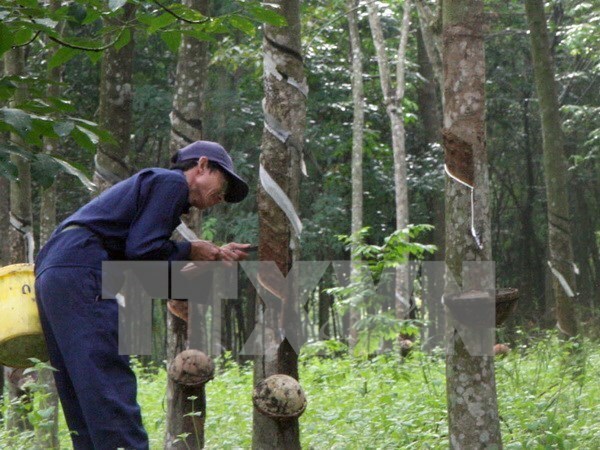 Hanoi (VNA) – The cabinet of Thailand has decided to allocate 1.8 billion THB (54 million USD) from the central fund to promote the use of rubber by various government bodies. The recipients include the Ministry of Defence (1.5 billion THB), the Ministry of Agriculture and Cooperatives (164.4 million THB), and the Ministry of Tourism and Sports (135 million THB). The Ministry of Defence plans to spend the allocated money purchasing rubber mattresses and multi-purpose lawns using rubber as raw material, while the Ministry of Tourism and Sports will use more rubber in covering the floors of sport stadiums. The Ministry of Agriculture and Cooperatives will use rubber to make rubber gloves and floors in cattle farms.